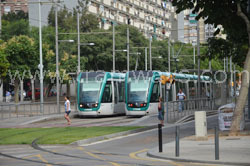 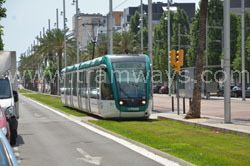 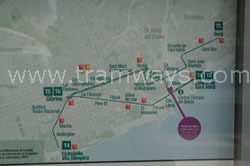 Index of the tramways in Barcelona, 2013. 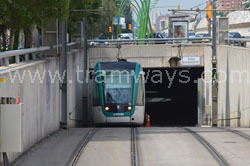 The Trambesos system. 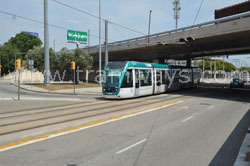 A photo collection. 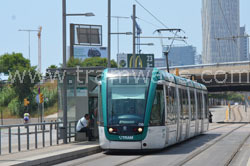 Page 1 of 2. 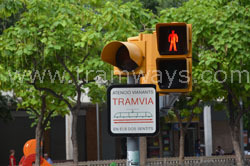 Index of the tramways in Barcelona, 2013. 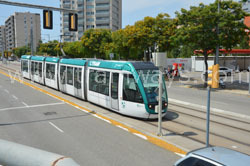 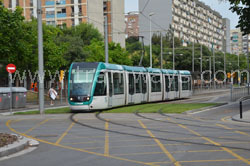 The Trambesòs system. 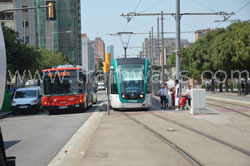 Page 1 of 2. 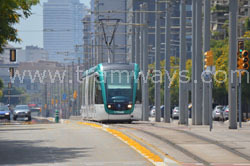 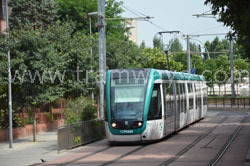 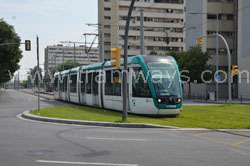 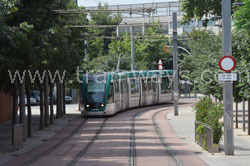 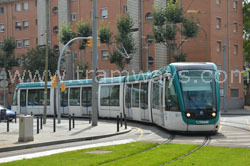 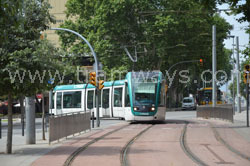 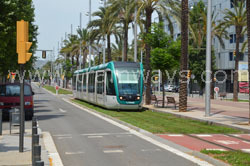 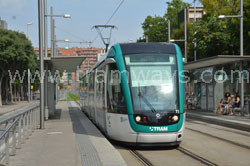 The Trambesòs system, running from the central part of Barcelona to the north-east parts of the city. 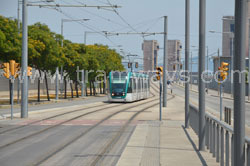 Opened in 2004. 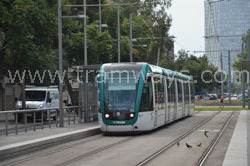 Three lines T4, T5 and T6. 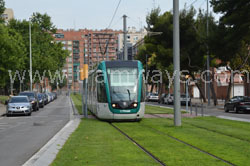 1435 mm rail gauge. 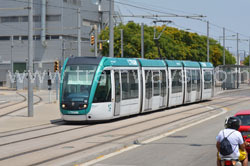 Rolling stock; Alsom Citadis 302, articulated, two-direction, five car body sections, 100 % low-floor.